Breakfast. The most important meal of the day, and usually the most overlooked as well. How many times have you heard this one, “I’d eat breakfast but I just don’t have time!” What are the chances those words have come out of your own mouth? 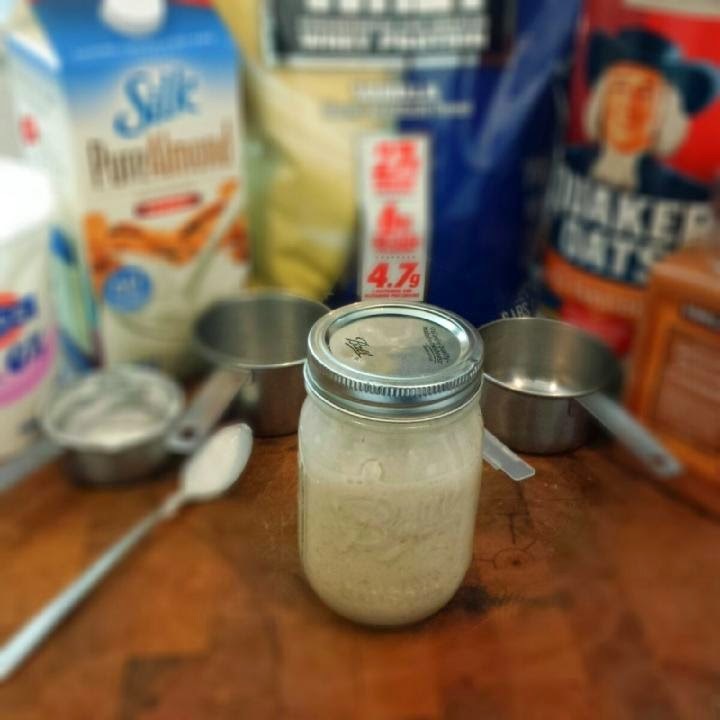 Well, we can’t buy ourselves time but we can make it work to our advantage, and no breakfast recipe works more to our advantage than Overnight Oats. We’ll be making this simple recipe the night before and sticking it in our refrigerator, letting it prepare itself overnight as we catch some z’s and get ready for whatever tomorrow may bring. Put all the ingredients into an air tight container. (We used a pint canning jar. 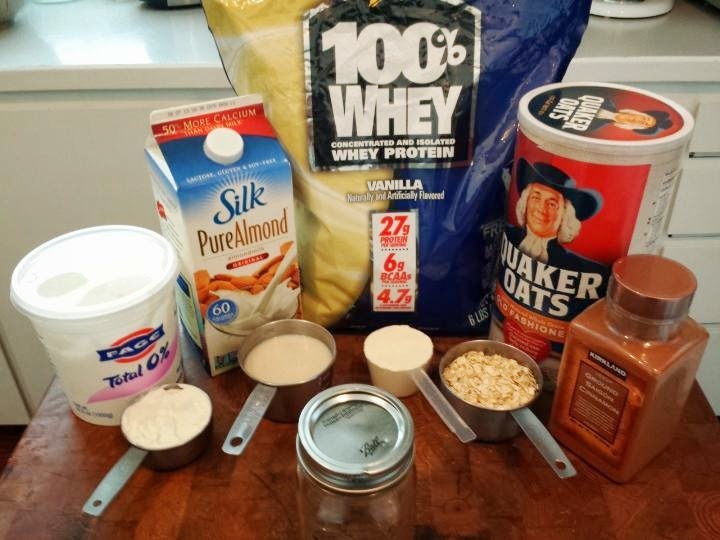 You need one that can with stand some hard shaking) Put your lid on tight and shake it up until you see all the ingredients blended together. Put your container into your refrigerator over night. The next morning, pull it out of the fridge, give it a couple more shakes and open it up. 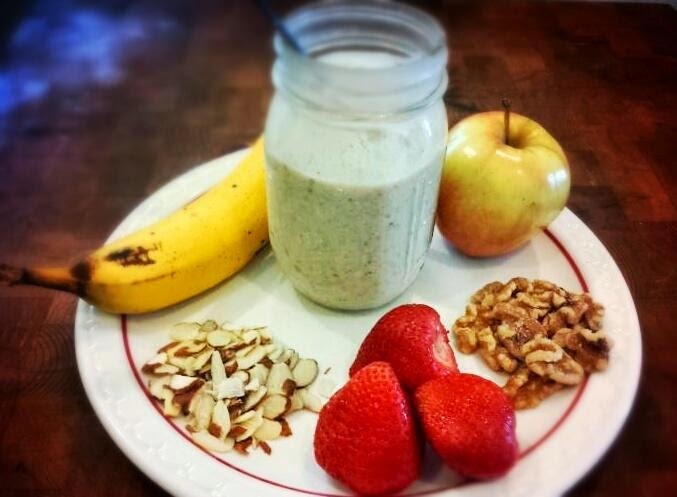 It’s ready to top with some of your favorite fruits or nuts, there are many easy breakfast recipes available including cut up bananas, blueberries and more. Get inventive, it’s up to you! If you wanna get Buff, you’re gonna needs the Oats! Easy, instant, healthy (and did we mention cost effective?) 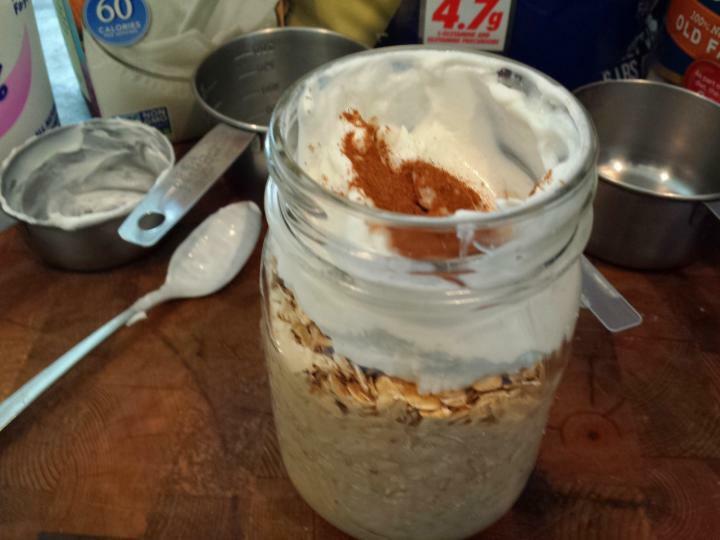 Overnight Oats has it all. If you’re in a rush and you don’t want to sacrifice your eating habits by grabbing something which has been fermenting in its own preservative filled plastic wrapper at the local gas-n’-gulp on your way to work, then mix up some Overnight Oats and kiss those breakfast-missing-blues goodbye.